In December 2017, a member of the public approached PHA Qld regarding the personal papers of late Melbourne historian Agnes Paton Bell. Bell is best known for her book Melbourne: John Batman’s Village, published by Cassell in 1965. PHA Qld President Timothy Roberts returned the enquiry, which concerned providing researchers and historians with access to these papers. Bell was an avid theatregoer, and before her death was working on a major appraisal of the history of theatre and performance in Australia. After consultation between Roberts and Bell’s living relatives, the personal papers, including unpublished manuscripts and working notes on Australia’s theatre history, including correspondence with the Coppin family, have been donated to the State Library of Victoria, and will shortly be accessioned and available for public access. 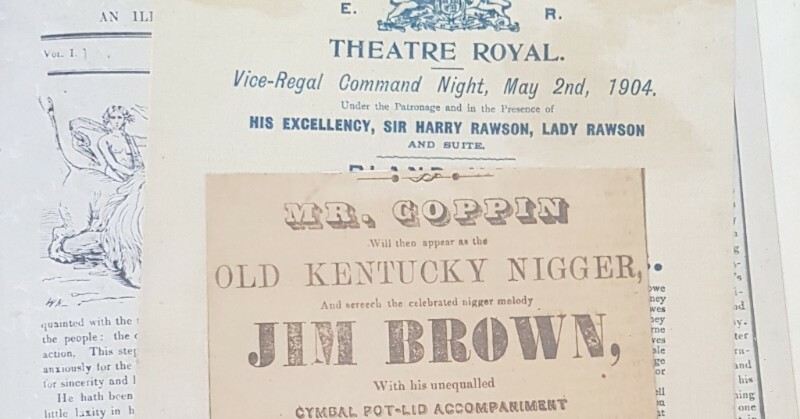 PHA Qld members interested in the history of Australian theatre and performance are encouraged to view these materials in the course of their research, and promote the papers to colleagues in the field. For further information, please contact Sandra Burt in the State Library of Victoria’s manuscripts team.